Abra Cadabra…You just saved hundreds on your next trip! Are you into saving money when booking travel? Thought so… Many people try and stretch their dollar to the max when it comes to booking their next vacation, so here’s a great tip to put a little more green in your pocket. Whether you’re looking for a fantastic weekend getaway or that dream trip to Lisbon, saving money is important. We’ve got a great tip today on ReliantTravelOnline.com for you which will save you mondo cash on your next travel bookings. 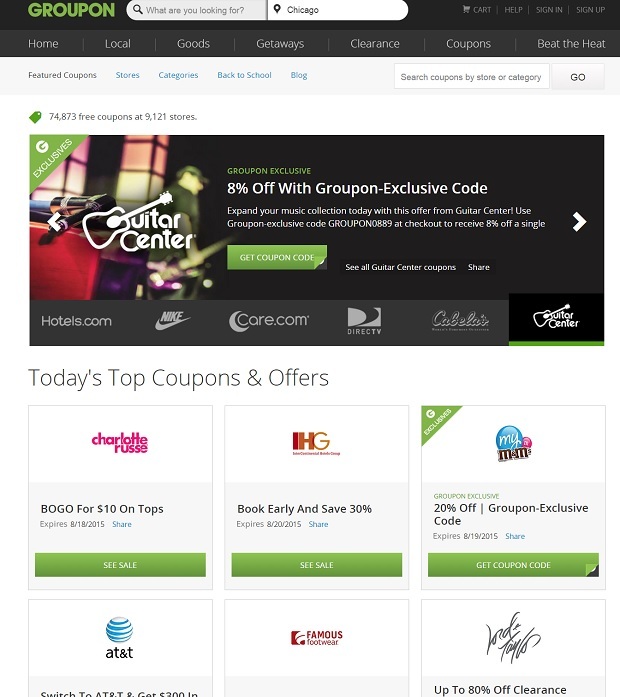 Groupon Coupons has an astounding 70,000+ active online coupons available on their site, and a large percentage of them deal with travel booking providers like Orbitz or travel related essentials from companies like JC Penney or Kohl’s. Check them out and start saving some money today!